There is negativity all around us. The media continues to shroud us in gloomy news stories. We are often alerted to how times are different now for our children. Schools always seem to find more things to pile on our kids and forget that they like to play, have fun, and express themselves. We need signs of hope, little things to make us smile, and timely words of encouragement. We need to concentrate our energy on the positive things in life. Todd Parr, artist and children's author, is a breath of fresh air, a reminder to laugh, and a person looking to make a positive impact on the lives of children and their families. His books carry the message of empowering his readers to feel good about themselves, to celebrate their differences, and be kind to one another. His artwork uses bright colors that make you feel happy and want to have fun. Todd Parr wanted to be an artist but was met with criticism and failure. After some time away from the field he returned to what truly made him happy. Luckily, his talent was noticed after a display of his artwork at a Wolfgang Puck restaurant. This lead him to designing merchandise for Macy's and later to publishing his first book in 1998. Many of his books have been New York Times bestsellers including The Earth Book and The I Love You Book. In 2004, The Family Book won Openheim Toy Portfolio Best Book Award. Now, many of Parr's books are benefiting social causes through some high profile collaborations. He has had projects with Target to encourage families to read together and for St. Jude's Hospital - Target House. Other projects include the Stouffer's Let Fix Dinner Project that benefits Habitat for Humanity and upcoming project with Sesame Street. Additionally, he is very active with his readers on Twitter and Facebook. He provides random thoughts of the day and even updates on his beloved dog, Bully. Bully and I celebrate the same birthday as he was a rescue from a box on the street. Given his estimated age at the time, it put his birthday sometime in July so we decided to combine them. We like to go camping at Lake Sonoma, about 1 1/2 hours from San Francisco. We take the Jet Ski, enjoy time with friends and lots of good food for about 3 or 4 days at the lake. Also, a few years ago I started renting a house at Sea Ranch (nothing of a city along highway 1). I love it up there, actually anyplace close to the water I love. Bully and I get up early and go to the beach for all the great sniffy's (Bully) and see what shells have washed up. I later go for a swim and then we do some hiking. I then make a big dinner for everyone. This week we loved reading The Grandma Book and The Grandpa Book. There is also The Mommy Book and The Daddy Book. 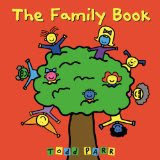 These books celebrate the things we love about each family member by highlighting common behaviors and qualities. In The Grandma Book Parr writes, "Some Grandmas like to make you eat a lot. Some grandmas like to make you things. All grandmas like to hear from you." My kids loved hearing something that was similar to their grandma and grandpa, and especially liked the letters that Todd writes to his readers at the end of each book. We have been having typical brother and sister summertime behavior at our house. The kids have had their arguments and fights. So, we decided to make our own Todd Parr books called "The Sister Book" and "The Brother Book". We found neon paper and folded it to make a mini-book using these online instructions. On each page my kids wrote a positive statement about their sibling. Some pages were about their favorite things and some pages were about things they like to do with them. They drew the pictures in pencil and then I traced them in black marker to be similar to Todd Parr's illustrations. On the last page they wrote "I Love You!" Lastly, they presented and read their book to the other. Both books were made "secretly" without the other child knowing. It was very exciting for them to read their books to each other. They danced around the room after they read them, with smiles on their faces. Hopefully, the warm fuzzy feeling lasts, if even just for a day! Anybody in the Philly Area? Please Touch Museum Celebrates Todd Parr's Birthday with a visit from Otto the Dog in Story Castle on July 9, 2010. Click here to see the museum's calendar of events. Below is great little video clip of The Lyle Show that features Todd Parr. Very cool show! 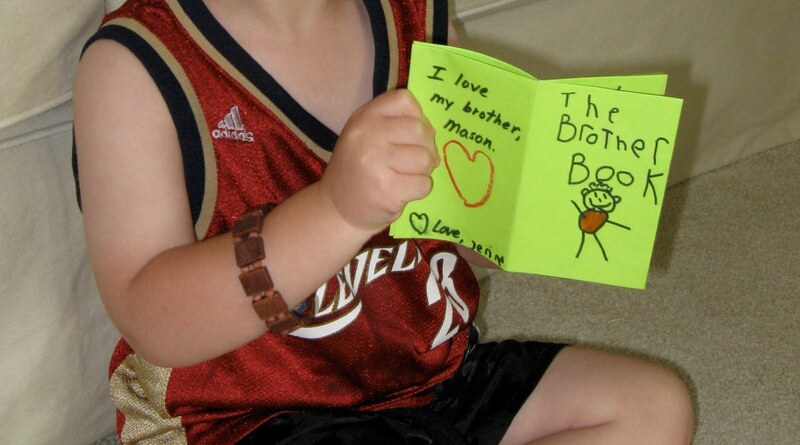 Love the idea of the sister and brother book! I can't wait to try it with my kids! Summertime definately brings sibling rivalry to an all time high. I think my kids will love this activity! Thanks for the idea!